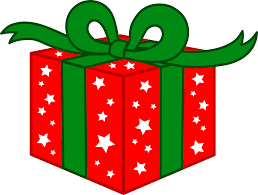 with some sweet treats of a little gift inside? These come in 3 sizes ~ 4", 5" and 6"
It is a very tight knit, but the finished product is quite stiff so hangs nicely. Knit 4 rows, Cut off red yarn. Cast on 6 stitches at the beginning of the next 2 rows (17 sts). Decrease row: sl1 k1 psso, k to last 2 sts, k2tog (15 sts). Repeat the last 3 rows until 3 sts remain. Sl1 k2tog psso, tie off this stitch leaving about 6 inches of yarn to create a loop for hanging the decoration. Weave in the ends at the cast on edge. They would make cute decorations if you add a little hanging cord. I think I will make a few Christmas cards by sticking one of these onto coloured cardboard. Who wouldn’t love that? Very simple to make, these only require a small amount of yarn. This cute little Gift Card Purse is an ideal solution to making a gift card more personal. They can be made very quickly ……. and they look especially pretty in sparkle yarn, with a contrast colour border. I made lots of these for the school's Indoor Christmas Market. They really are quick to knit. And they make a fun little gift. 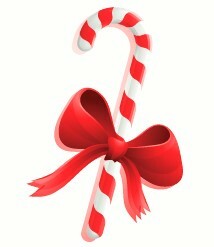 these look so cute in candy cane colours! 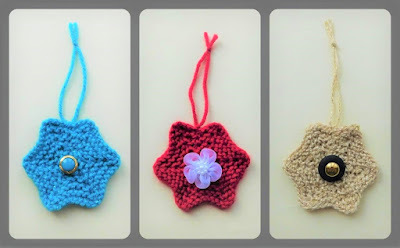 I think this little star is a cute little decoration that can be used as an adornment to add to projects - or as a hanging decoration. It will look especially cute in sparkly yarn or Christmas colours! These are a great little fun last-minute gift idea. 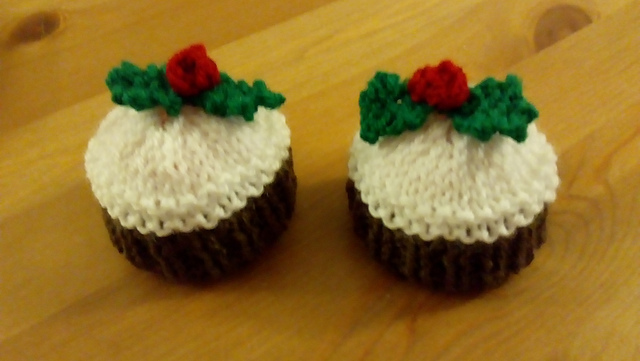 Knit the Christmas pudding and then hide a little surprise inside ! I filled each of mine with a Tunnock’s Tea Cake - as these are a great favourite of my family! But ....... why not fill them with a bath bomb instead? for chocolates .......or to use as cute bottle toppers ! 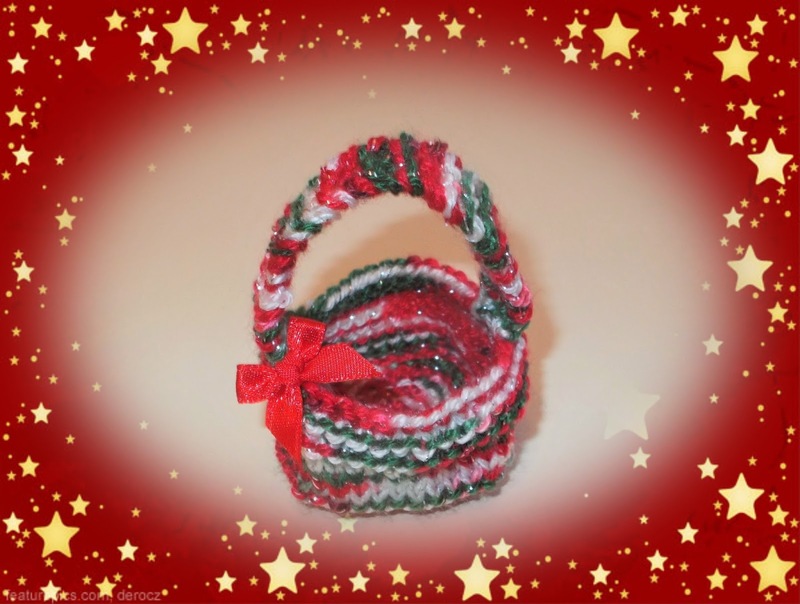 Why not make your own cute festive gift bags this year? These are really easy - and quick to make ……. and you can easily alter the width or length to suit. And add a pretty ribbon bow. I made this cute little gift bag in a pretty gold sparkle yarn. 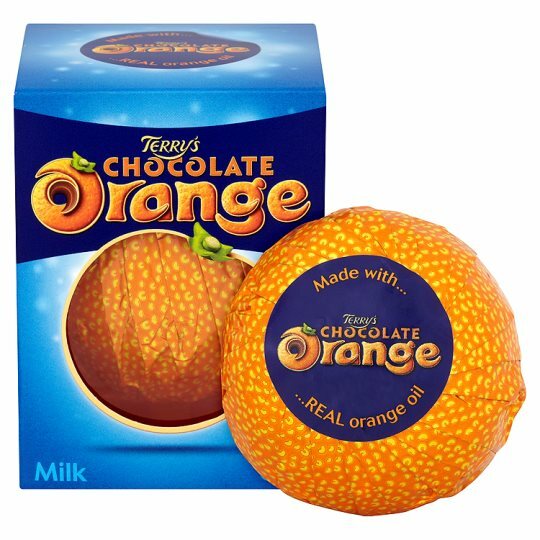 Everyone lovers a Terry's Chocolate Orange........ right ? 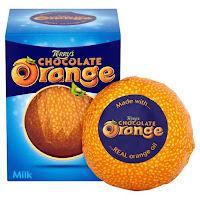 pop a Chocolate Orange inside and give it as a cute little gift ! A very cute idea for a little gift this Christmas ……..
Knit your tree - fill it with a Terry’s Chocolate Orange - and have fun decorating it! Or why not use it as a sweet little decoration for your Christmas table perhaps ……. 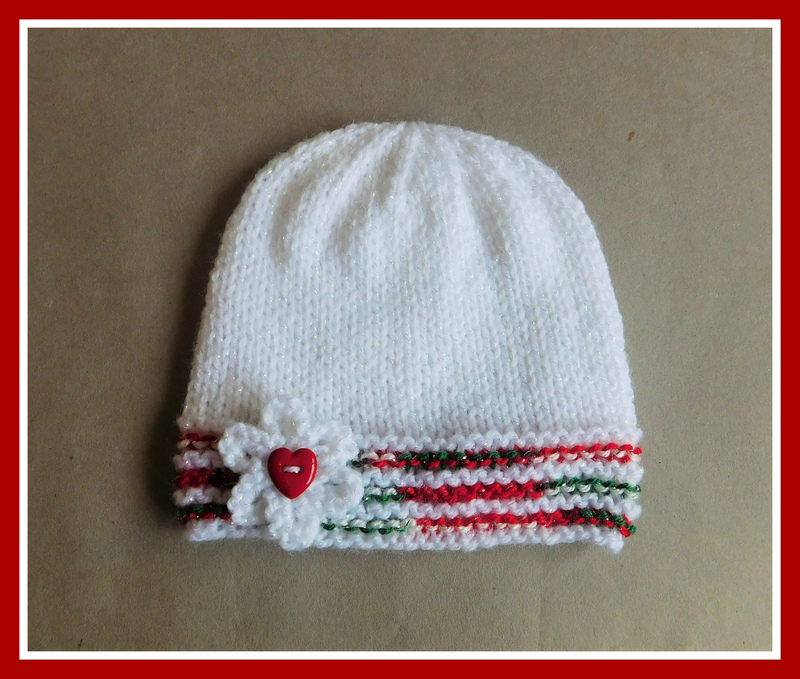 This cute little Elf Hat makes a fun little festive gift! 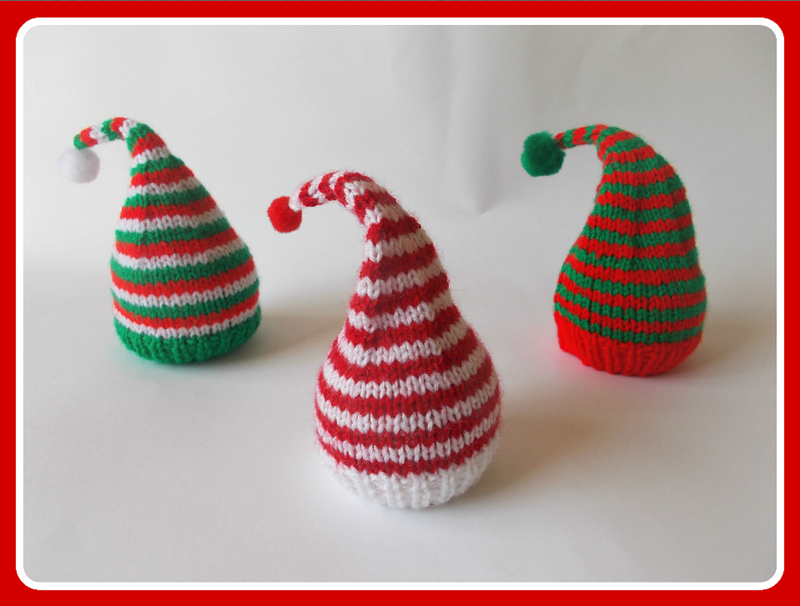 Add a little pom-pom or jingle bell ! This year I am making Holly Hangings for little gifts - I hope my friends and family will keep them as festive decorations or maybe hang them on the tree. They would also be lovely for fundraising events, and as teacher gifts. I knitted mine with 2 strands of DK yarn & 5mm / 6mm needles - this changed the size a little as I wanted some variation. 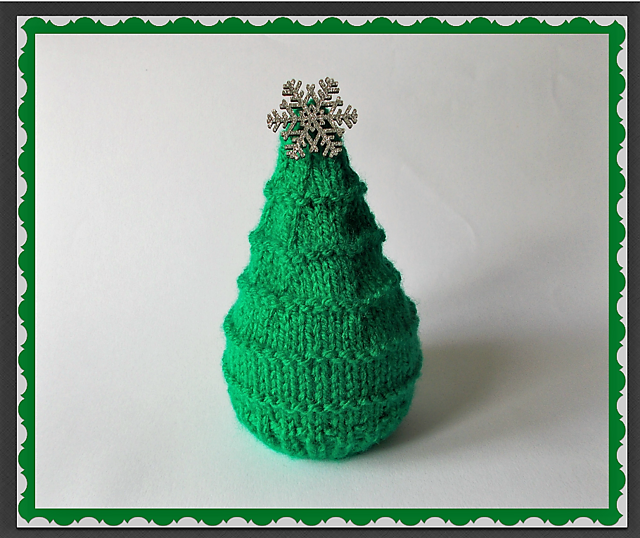 Knit the leaves, then decorate with a button, bow, applique or holly berry as per the pattern. Add a hanging cord – yarn, twine, or ribbon all look good. Holly Bunting is a cute project. These are great for small gifts - or why not put some chocolate coins inside ? These sweet little purses are fun to make - and to give - even better if you pop a little gift inside. They are so quick to crochet with scraps of left-over yarn! These are filled with chocolate coins! but they look so sweet in Christmas colours too !! Make a twisted cord, or crochet chain, or add a ribbon for hanging. These cute little mini stockings look great in stripes - and any combination of colours look great. My friend's daughter recently had a beautiful little baby girl ~ and I have really enjoyed making little garments for her. Then, as I have been making mini Christmas stocking decorations for a school bazaar I suddenly had the idea of making a little stocking to celebrate a baby's first Christmas. It's funny how two different projects have merged into a new one! first Christmas Present done !!! Loving using this yarn! It adds instant glitz to any outfit! Such a cute little smowman family! Crochet small circles using white crochet cotton. 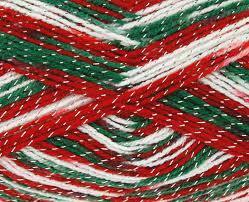 Join two together by threading ribbon through the last round. Stuff lightly with polyester stuffing. Tie a bow with the ribbon. Add a crochet chain or gold string hanging cord. Well plastic milk bottle tops actually !!! The decorations with the green centres have a milk bottle lid inside! A little crazy maybe, but a great solution. 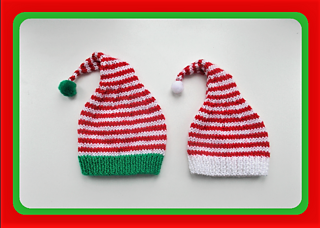 Just how cute would a newborn look in one of these little Elf Hats? Sure to be a great talking point !! Awww....these are all so cute. They would make great gifts. What an amazing variety! Your snowflakes are too cute, the baubles are wonderful, but I'm spellbound by all the mini stockings! Loved your crafty and clever knitted trees and the top down baby jacket. Thanks ! very beautiful gifts, thanks for sharing. 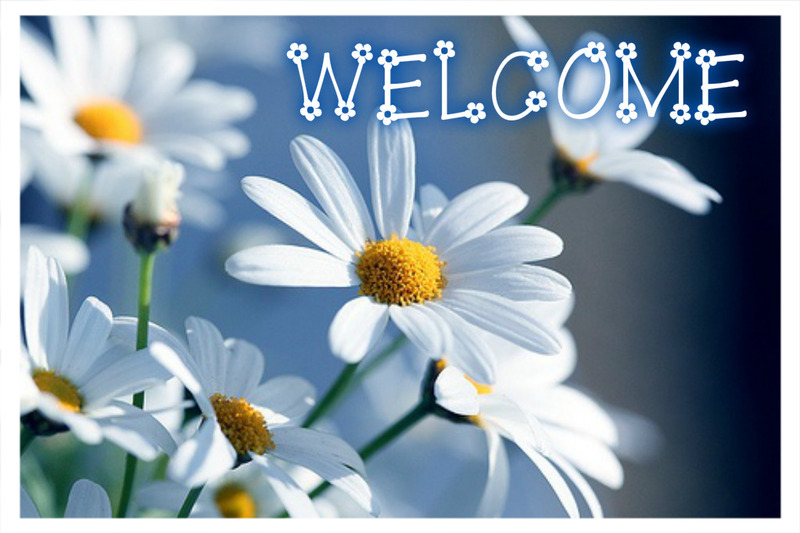 You have provided an amazing selection of patterns. 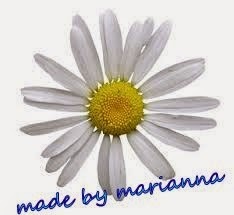 the little flowers will be great to add to my boring cardigan. and the other things for Christmas will be nice to make for Christmas. many thanks. Thank you so very much for this posting. I have made all these patterns and am in the mood for Christmas. I made more than 100 stockings for several teachers to give a small gift to their students. Love all your choc orange covers , will be doing lots for fundraising for local children's hospice. Many thanks.